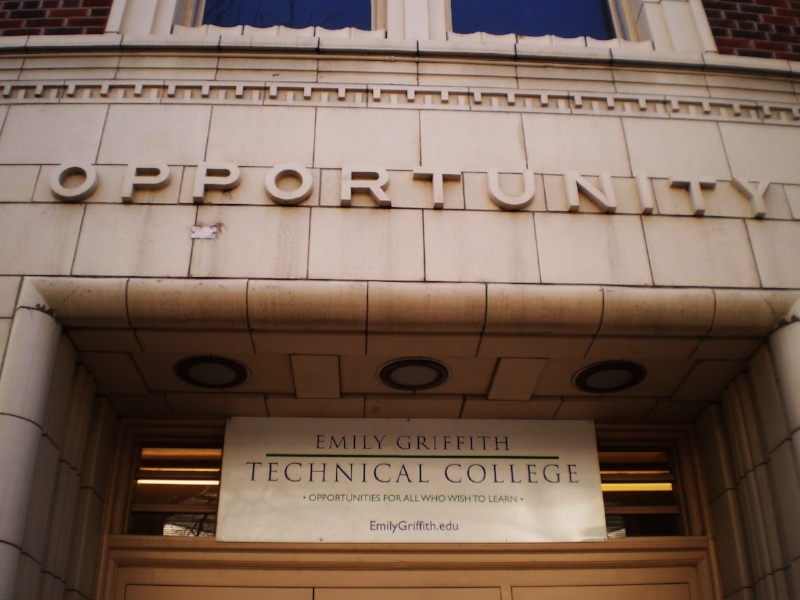 When Emily Griffith founded the Opportunity School in 1916, her mission was to educate "all who wish to learn"
100 years later, the Emily Griffith Technical College (EGTC) continues that mission. Our students come to us from many different starting points: some EGTC students are concurrently enrolled high school students, on track to complete their high school education and a certificate in their chosen career by the time they are 18 years old; some are college graduates, looking to gain job-specific skills to be more competitive on the job market; still others have newly arrived in the United States. What unites all Emily Griffith Technical College students is their desire to learn. Darin came to Emily Griffith in order to rebuild his life. After graduating from CU - Boulder with a business degree, and a growing alcohol problem, Darin struggled. He was introduced to meth and his life quickly spiraled out of control. Darin has an inspirational story of recovery and Emily Griffith Technical College played a large role in his extraordinary rebirth. Karak came to Emily Griffith after fleeing Sudan. She left behind her family, and her work with Sudanese women that had won her the attention of the United Nations, but also the Sudanese authorities. Her story of is one of survival after violence and Emily Griffith helped her return to her professional life. Adriana was brought to the United States as a toddler by her Mexican-born parents. She learned about Emily Griffith's concurrent enrollment program while a student at West High School. Aware that her undocumented status could prevent her from pursuing her dreams, Adriana refused to give up. She enrolled at EGTC in order to prepare for a career before even finishing high school. Adriana's story is one of determination, she was accepted to 5 colleges! Darin, Karak, and Adriana's stories are extraordinary accounts of individual perseverance and success. They are also testaments to the transformative power of an Emily Griffith education. Inspired? Help us change more lives by investing in HIRE education! Find us on Facebook to see the impact of your support!